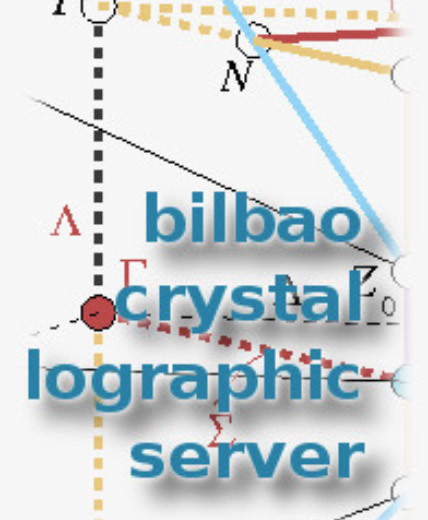 The Bilbao Crystallographic Server (www.cryst.ehu.es) is a web site with crystallographic databases and programs. It can be used free of charge from any computer with a web browser via Internet. The aim of this workshop is to give a practical guide with hands-on sessions to some of the online computer tools available on the Bilbao Crystallographic Server for treating problems of theoretical crystallography, solid-state physics and crystal chemistry. Coordinate transformations in crystallography with special emphasis on the tools for crystal-structure descriptions and for crystal-structure comparisons. Symmetry relations between crystal structures and their descriptions by Baernighausen trees (family tree of structures). Evaluation of structural pseudosymmetry with applications in the search of ferroic materials. Crystallography of structural phase transitions. Structural relations in a phase diagram. Symmetry-mode analysis of distorted structures and its applications. Students, post-docs, faculty and industrial scientists interested in some of the following topics: quantitative comparison of crystal structures, study of pseudosymmetric or distorted structures, structural aspects of phase transitions, structure relations within families of compounds, and in general, group-theory-based structural analysis. The workshop would also be of interest to regular users of the Bilbao Crystallographic Server who wish to deepen further in more elaborate applications. The registration fee for workshop participants is 150€/person. This includes the material for the workshop, coffee breaks, lunches and wireless internet access. A limited number of bursaries to attend the workshop are available. The bursaries will be distributed among all graduate and PhD students and young scientists who are aged 35 or younger. M. I. Aroyo, J. M. Perez-Mato and G. de la Flor. Registration: Please login the user area using your ECM31 account (e-mail address and password) to register for this satellite.